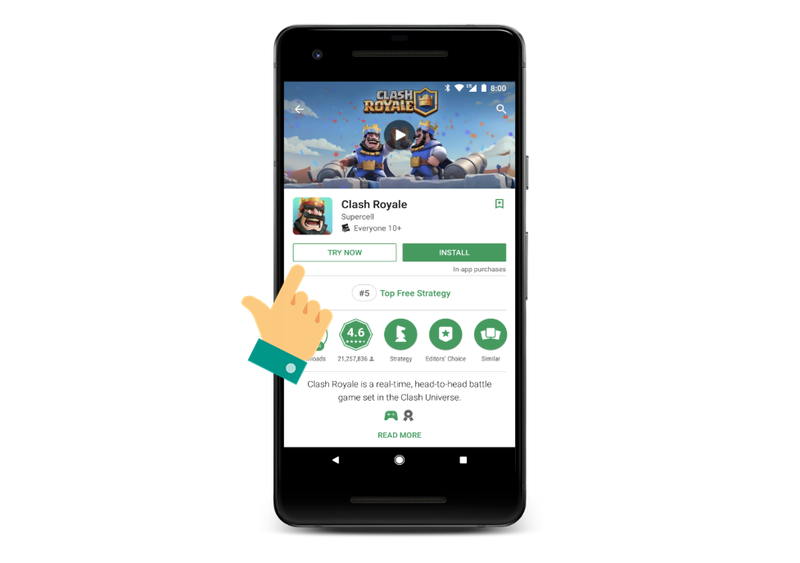 Google's Play Store probably is the most distinguished of all other similar platforms based on the fact that it allows people to experience a game without having to download it. It is an amazing feature for both users and application developers, since it not only saves time and space for people, who do not have to go through the tedious process of first installing a game, and then determining if they like it, but also it facilitates downloads, as people who would not have downloaded the app in the first place, are more likely to install it, after playing a demo version. However, Google initially required developers to have websites, with intent filters and link verifications, to produce these mini versions. This put smaller developers in trouble, since they usually did not have dedicated websites. However, now Google has waived off this requirement, allowing all sorts of developers to produce games of this sort.